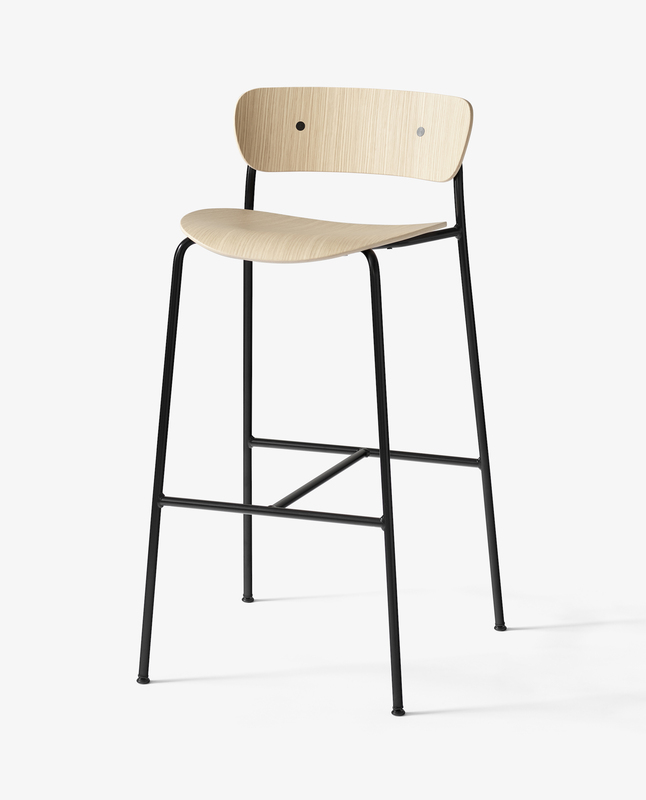 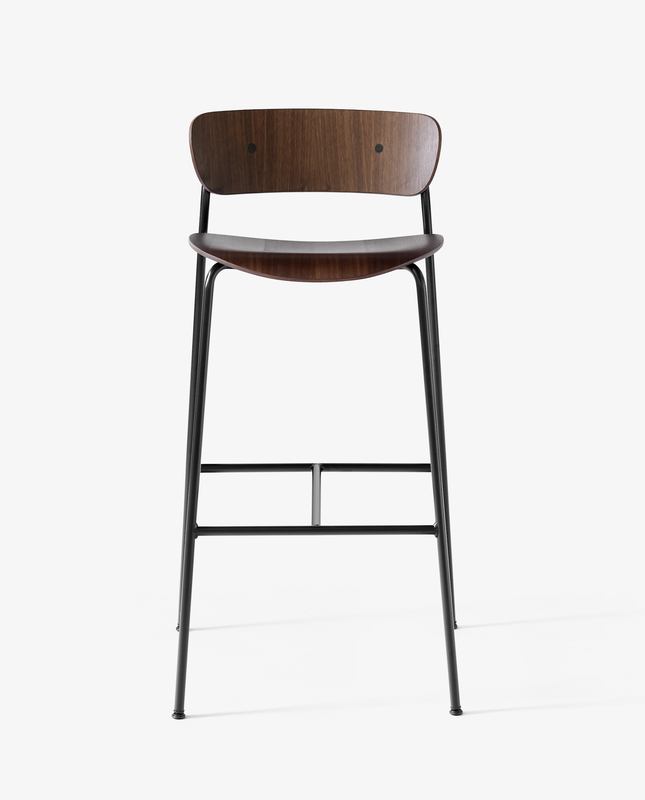 The Pavilion bar stool from Anderssen & Voll, available in two heights, is a declination of the Pavilion chair designed to equip the Langelinie Pavilion, modernist work from the the architect couple Eva and Niels Koppel built on the Copenhagen waterfront, not far from the Little Mermaid. 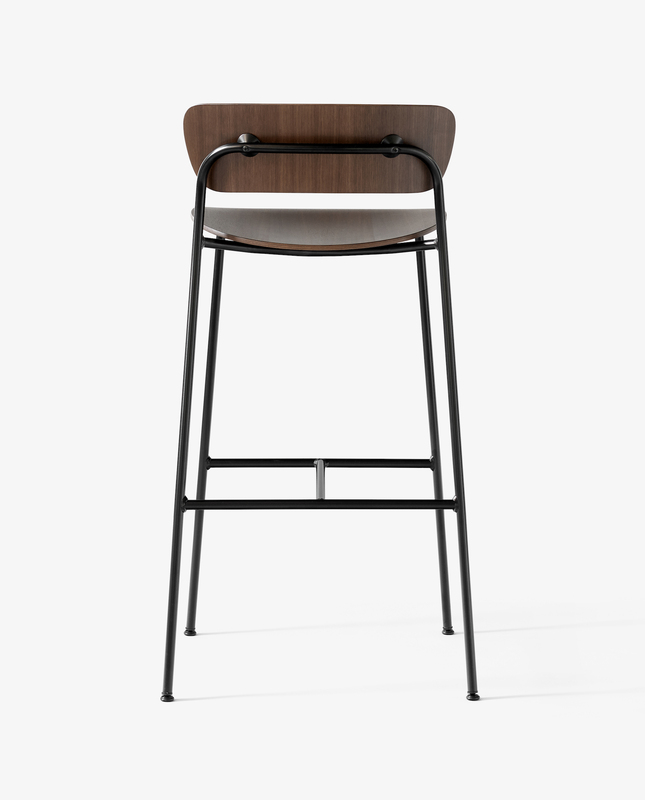 Made of a tubular base and a curved plywood seat, the bar stool has a light and compact aesthetic. 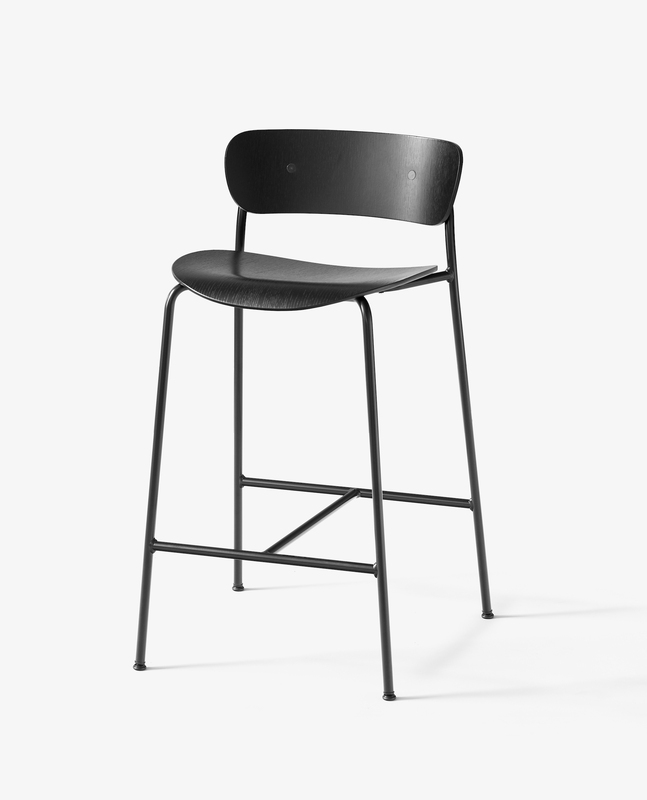 It will fit indifferently in a pub or in a private kitchen, ensuring a remarkable rapport between size and comfort.